Our online Design Center makes it easy to visualize how your customized garage doors will turn out. You can try out a complicated door panel design or experiment with different colors and materials. Try your design with both wood doors and steel doors to see which you prefer. Remember to consider decorative hardware, as it allows you to add even more detail and interest to your garage door and make sure it matches the rest of your home. 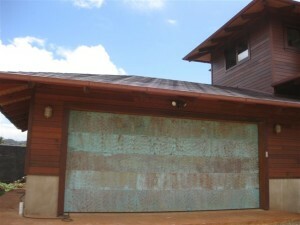 Getting expert installation for your custom garage doors North Hollywood CA is imperative. Failing to install the doors or opener system correctly can cause problems down the line. For instance, failing to tighten all of the screws and cables properly can lead to a noisy garage door that may open and close jerkily and end up putting stress on the entire system. When you work with Carroll Garage Doors for your custom door design and installation, you don’t have to worry about these kinds of problems. Because our technicians are so thoroughly experienced, they can set up just about any type of garage door and opener right the first time.